I was one of the last people I know to read Anna and the French Kiss by Stephanie Perkins. Everyone else--coworkers, customers, friends--told me how good it was, but I ignored them. And then I finally read it, and fell in love with the "will-they-won't-they" romance set in Paris, and chided myself for not having read it sooner. Seriously, if you haven't read it, and you like a good love story, pick one up at your friendly neighborhood bookstore today. 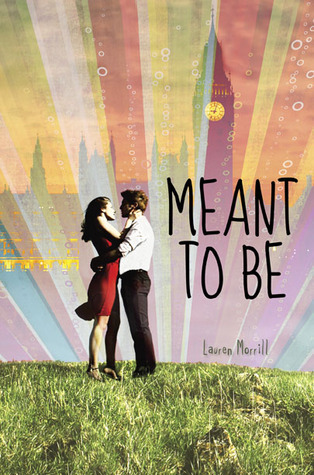 A few months ago I was sent an advanced copy of Meant to Be by Lauren Morrill. The cover was adorable, and it promised another fun European setting like Anna, complete with my favorite kind of love story: the kind where you're falling in love without even realizing it. So I took it home and gobbled it up, and now that it's officially released, I'm happy to be one of the first to report on how delicious it is. Julia is your typical type-A high schooler: studious, a little nerdy, and a big rule follower. (Hmmm, now I'm remembering why I related to this book.) She's on a Spring Break school trip to London, and she couldn't be more excited to explore the city--with her pencil sharpener and pocket Shakespeare in tow. Unfortunately, she's partnered with the class clown and resident fun-seeker, Jason, and they have to spend all their time together. Julia and Jason end up at a party one night, and after that, Julia starts receiving romantic texts from an unknown number. Determined to find this mysterious suitor, the pair embark on a wild goose chase around the city, that (of course!) only leads them closer and closer to each other. 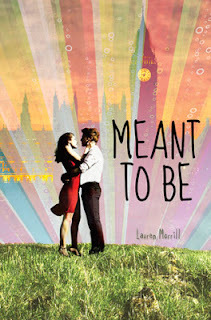 It's sweet and fun and you'll be rooting for the two of them to hurry up and kiss already! Fans of Anna, here's your next read. Christmas Tree Lighting this Thursday Night!